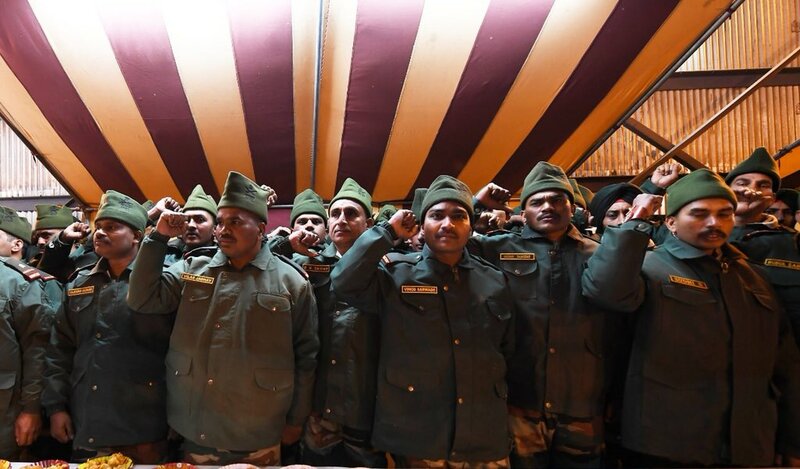 Soldiers of the Indian Army voted enthusiastically in Phase 1 of #LokSabhaElections2019. 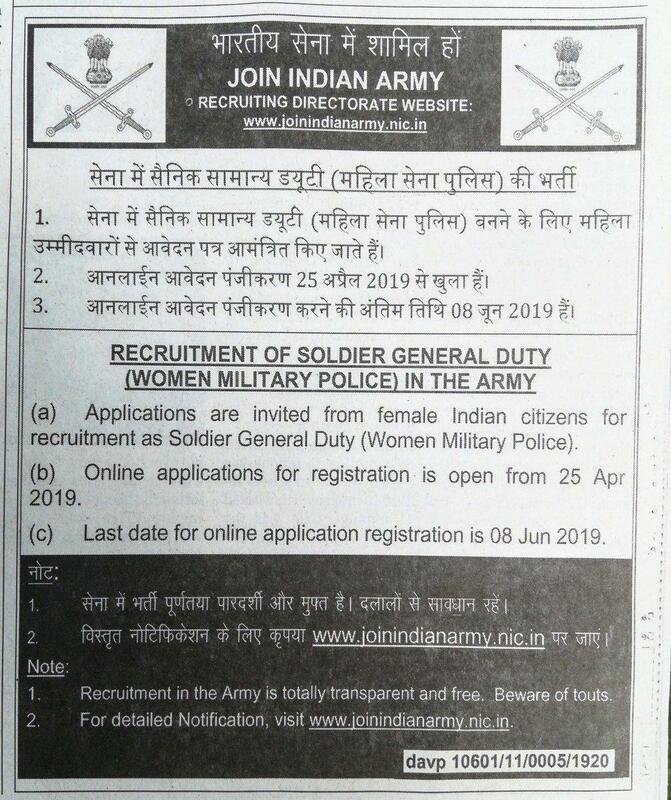 For the first time in history, Indian Army to start online registration of women for recruitment as soldiers into the military police, today. 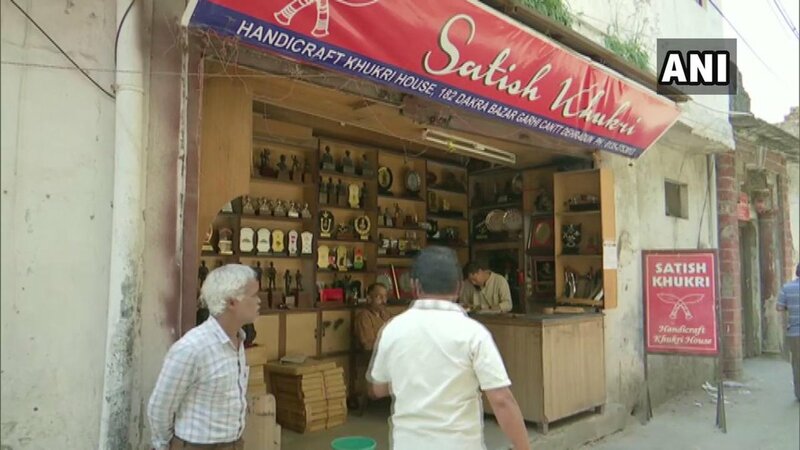 Army veterans write to President of India over the use of Indian Army's name during elections. #WATCH : Late Army Major Prasad Mahadik's wife Gauri Mahadik, who will join Indian Army next year, says, "he always wanted me to be happy & smiling. I decided I'll join the forces, I'll wear his uniform, his stars on our uniform. Our uniform because it will be his and my uniform". #WATCH : Lieutenant Bhavana Kasturi, first woman officer to lead an all-men Army contingent at Republic Day parade, says, "The moment when I saluted the Supreme Commander of the Indian Armed Forces, the President, that was the most memorable moment of my life." Bollywood actor Kangana Ranaut called for "Pakistan['s] destruction" after 40 Indian soldiers were killed in a suicide attack. Priyanka Chopra praised India's army. Are these actors advocating for war with Pakistan? Prime Minister Shri pays homage to martyrs at the Konark War Memorial. He inaugurated an exhibition in Jodhpur, #ParakramParvmarking the second anniversary of the surgical strikes carried by the Indian Army. 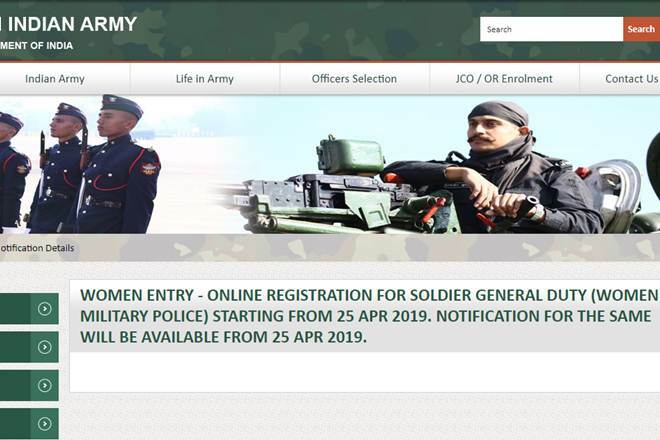 Report: Opening up a new avenue for females, the Indian Army kicked off the process of inducting women as jawans by starting their online registration for recruitment in the corps of military police. In a historic first, Government approves online registration for recruitment of women as soldiers into the military police by Indian Army. #RiseWithIndia | In January, @nsitharaman took the historic decision to induct women as jawans in the Corps of Military Police in the Indian Army. The Indian Army on Thursday, for the first time, kicked off the process to recruit women as soldiers into the Military Police. 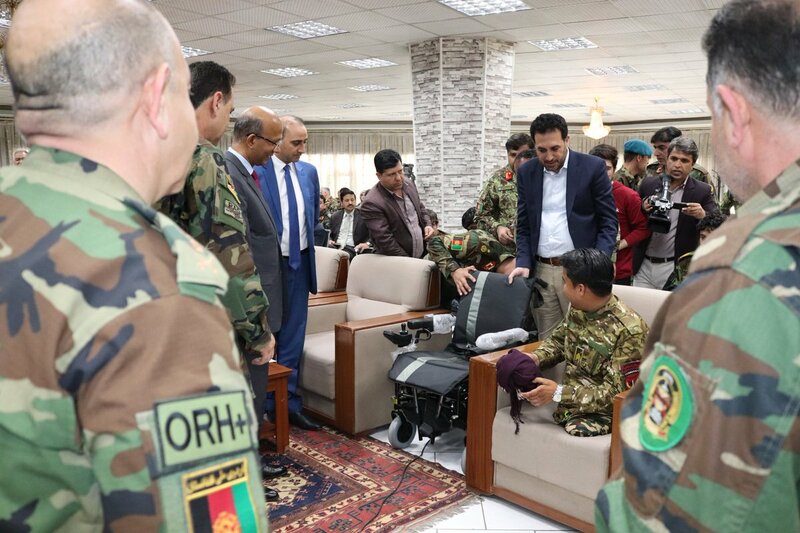 Indian Ambassador to Afghanistan, Vinay Kumar presented 100 motorized wheelchairs to Afghan National Army (ANA) to alleviate the challenges and sufferings of some of the critically injured soldiers. 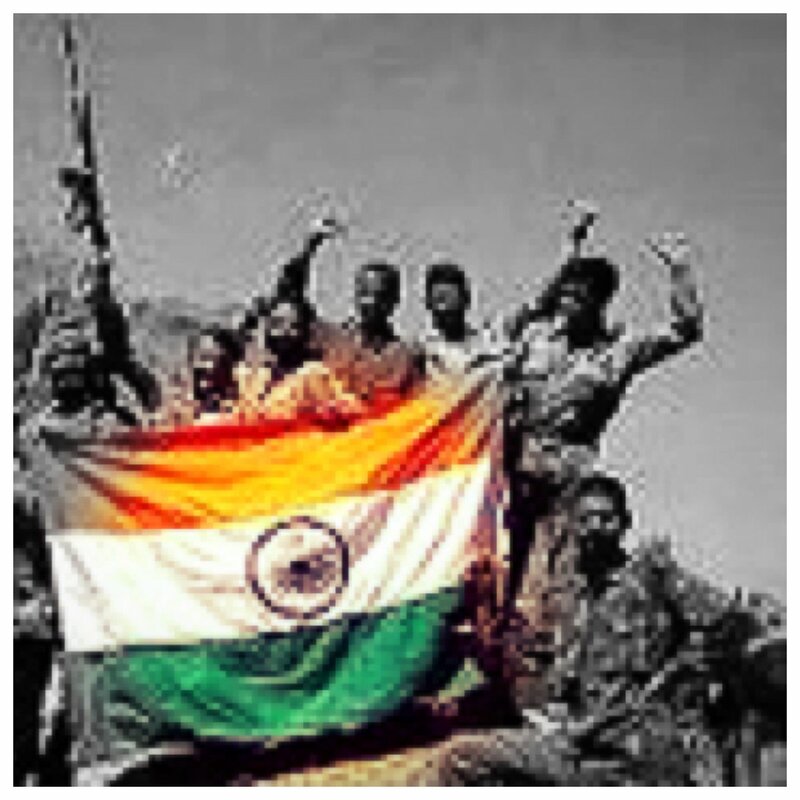 Thnx Indian army for the action against terrorism.V should all pray for safety & well being of our Indian soldiers. Highest respect to all those who are contributing towards Kerala flood relief. Salutations to Indian Army, Navy, Airforce & other rescue forces for their invaluable efforts at ground zero. 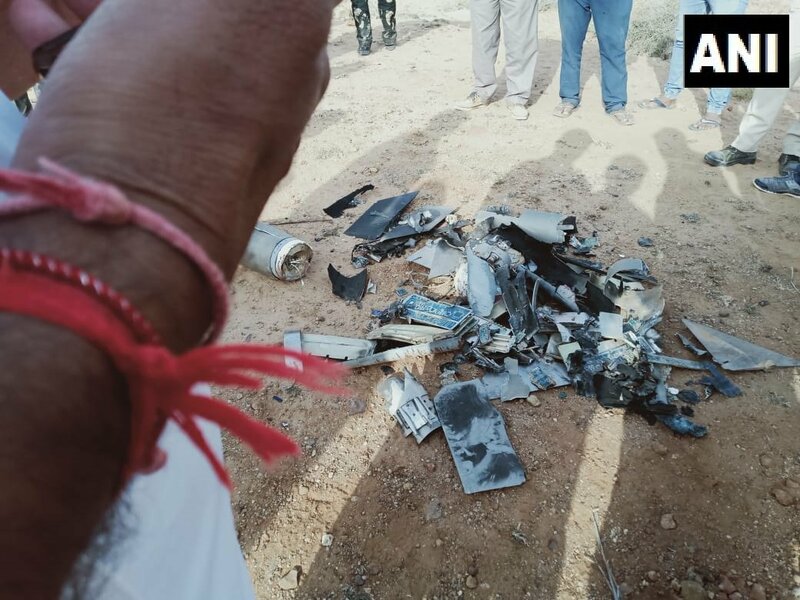 Indian Army has shot down a Pakistani spy drone in Abdasa village, in Kutch, Gujarat. Army and police personnel present at the spot. While interacting with Army and Jawans in Harsil, spoke about the numerous steps being taken by the Government of India for the strengthening of the defence sector, welfare of ex-servicemen and highlighted how Indian forces are admired globally for the skills. 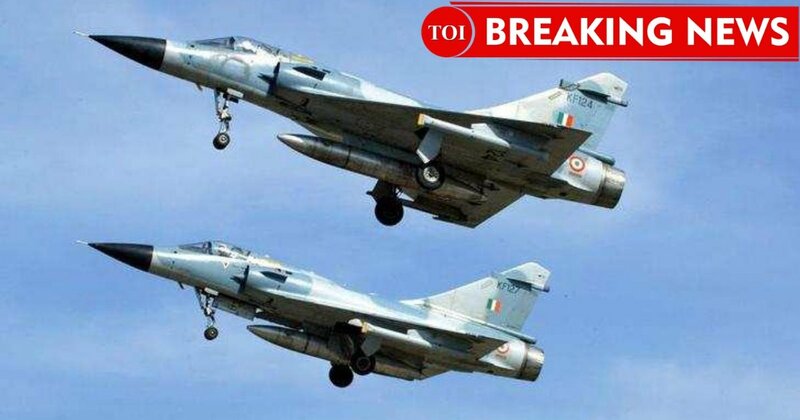 Indian Army sources say #Balakot , Chakoti, Muzaffarabad pads destroyed. Alpha-3 control rooms of Jaish destroyed. Congress’ dislike for the Indian Army and the valour of our soldiers is not new. Congress treated Field Marshal Cariappa and later, General Thimayya very poorly. Such insult and disrespect is what the Congress culture is about.